I originally posted this on Type A Mom, a community in which I do some guest posting on. In case you missed it… here is the post in it’s entirety. Thank you for reading about this important topic. I have to say, it’s taken me six months to really be able to sit down and start writing about this. Juvenile Diabetes is an important topic and Type-A Mom is probably the best forum for me to be able to spread the word. Why has it taken me so long? I think it’s because when she was diagnosed I felt like a bad mother. I felt like I had done something wrong. I felt like I blamed her for things beyond her control. I felt ashamed of these things… Perhaps it’s because it’s taken me this long to really come to grips with what’s happened in the life of my family. Juvenile Diabetes has forever changed our lives. Allison was 3 years old in November of 2009 when she was diagnosed with Type 1 Diabetes… better known as Juvenile Diabetes. There were all sorts of signs and symptoms. At first, it never crossed my mind that she might have Diabetes. Nobody in my family or in her father’s family have Diabetes. It’s not a disease we’re familiar with outside of a family in our church with two members living with Juvenile Diabetes. Allison was also constantly thirsty. I had to carry around water in my purse for her. I felt like I needed a diaper bag all over again. I was carrying clothes, wipes, water. I was becoming frustrated with her and she was acting out. Her behavior took a turn for the worst. She was angry and disobedient. My once happy and outgoing child was now a terror on the playground. I thought she was just trying to be difficult, when in reality her little body was rebelling, not her. Then came the tummy aches. Allison began to complain of a tummy ache nearly everyday. At first I tried giving her something for it like a children’s Pepto, but clearly I couldn’t keep that up. I wondered if the tummy aches were her way of getting attention or maybe she just liked the taste of the medicine. Whatever the case, I decided to make a doctor’s appointment for the upcoming Monday to try and solve this latest issue. At church on the Sunday before our appointment, I was telling a friend about all we were dealing with. I was trying to get some advice on how to handle my unruly child. Someone overheard me. The mother and aunt of two girls with Juvenile Diabetes. She urged me to take Allison to the ER right then. I told her no, we have an appointment the next day. She asked me to administer a urine test at home and to call her with the results. I agreed to. She looked so worried. Should I be worried? I took the test strip to my parents’ house with us. We have lunch there after church sometimes. I had Allison pee on the test strip when we got there. The test would tell us if there was sugar in her urine. The color scale started out light in color for a little sugar and gradually got darker for increased amounts of sugar. Allison’s test strip read darker than the darkest reading on the chart. Wondering what to do, I called the woman. She urged me again not to wait and to take Allison to the ER. So I did. 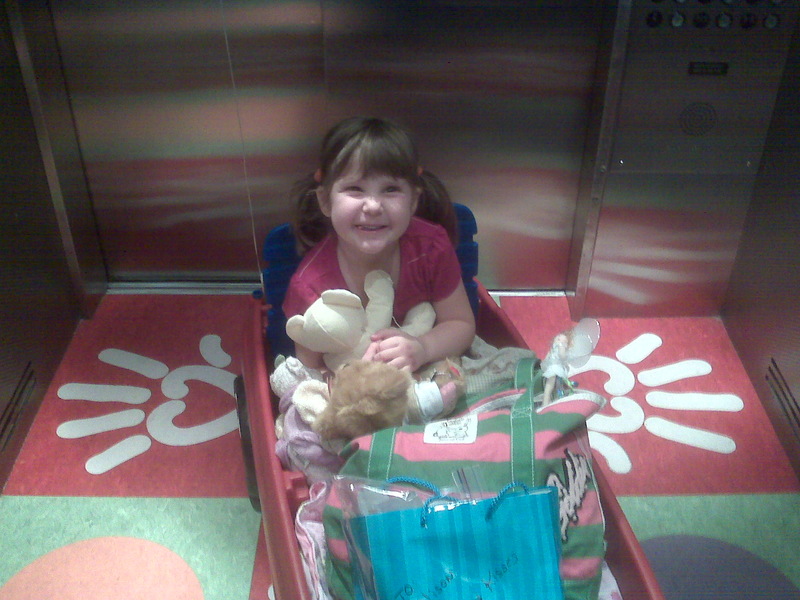 Her blood glucose reading was so high, they were unable to get a reading on the ER monitor. I knew it was serious by the look on all of the attending doctors’ and nurses’ faces. They drew some blood and after a couple hours accompanied by lots of stares and whispers, the results came back that Allison’s blood glucose was well over 800! A normal person is between 80 and 120. We were rushed to Phoenix Children’s Hospital by ambulance and that is where we stayed for a week. In that week, I learned that my child had Type 1 Diabetes. Hers was an autoimmune deficiency, meaning that she had a virus recently (possibly a urinary tract infection) and her white blood cells attacked her pancreas rather than the virus. They don’t know why this happens, but something similar happens with Thyroid Disease which runs in my family. Allison’s pancreas is nonfunctioning. I learned to test her blood sugar every morning, every meal and before bed. I learned to give her insulin shots at every meal to correct her blood sugar or to cover what food she was eating. She’s not fought us a single day. Her behavior has completely changed. She feels good. She feels right and she knows it. Allison is a smart girl. She’s 4 years old now. At 4 years old, she can tell you if she feels low or high. She can tell you if the snack you’re about to give her will require insulin. She can even tell you all about her new insulin pump that’s expected to arrive in a few weeks. I don’t write many posts like this, but when something crosses my radar that I know my kids will love… I jump at the opportunity. I’ve got two words for you. Googly Bands. If you have school age children, then you have to have heard about them. Googly Bands are one of the hottest trends since Beanie Babies… but they are inexpensive and fun to trade! When I was in school… we had slap bracelets. Remember those? I had to have them. And today… kids have to have Googly Bands. I’ve seen some crazy YouTube posts and Tweets discussing “rare styles”, sold out dilemmas, and collections in the hundreds. The obsession in my house is on a much smaller scale. Rachel is 5 years old and in Kindergarten. Moms… they start the trading craze in Kindergarten! She’s told me about little Jayda’s Googly Bands and how she traded the blue star for Mason’s red sea horse. Oh… how she wanted some Googly Bands too! My problem is… Googly Bands sell out almost as soon as they are stocked! They are however, carried by most major retailers like… Walmart and Walgreens. I’ve been told that their production never stops. They are forever creating and shipping out new styles. Right now… Googly Bands is hosting its first ever design contest! The winner will receive a $50 gift card and a chance to design the new Googly Bands style! Rachel went to school today proudly wearing the new Googly Bands I scored for her. It’s the last day of school. I know she’ll be making memories and trading the latest trend with her friends. *I was given two packages of Googly Bands for my assistance in spreading the word about Googly Bands. The views and events expressed in the post above are my own true experiences. I’ve been posed the question by Twitter Moms… “How do you pull together fashionable outfits when you’re on a tight budget?” So… after thinking about it… I’ve come up with ten of my best tips for being fashionable on a tight budget. Enjoy! 1. Tear the latest fashions from a magazine and try to copy it using look-alike brands. I love to do this! I make it a game… it’s such a fun challenge to take the hottest new looks and try to recreate it on my own budget. 2. Stick with the basics. I find that a classic white button up shirt goes with everything from jeans to a pencil skirt. Stick with the basics and you can’t go wrong. Whether I’m shopping for myself or for my kids… I try to mix and match as much as possible. I like to buy a patterned bottom and then a couple solid colored tops to match. Those same tops will go with my jeans or khakis. I also like to buy a skirt, pant, and shorts that all match one top when I shop for my kids. Sounds weird… but that’s 3 different outfits right there. This goes hand in hand with mix and match. Some of my favorite stores have sales regularly that feature “buy 3 for $15”. This is a great opportunity to stock up. I have really been wanting to do this… Have a closet swap party. Gather up the things you’d like to be rid of and invite some friends to do the same. Meet up and trade your items over some good food and drinks! Often sales and specials are only available online. I’ve also been successful searching for promotional codes to use online for my favorite stores. Many times free shipping is also available. One of the cool things about shopping online… once your package arrives… it often comes with coupons for you to use the next time you shop! 7. Shop for the next season. I find that I save a ton of money when I buy basics off season. The best time to do that is when the Winter items are moved out to make way for Spring. 8. Own a pair of dark wash jeans. Dark wash jeans are a fashion essential. They can be dressed up or down easily. A pair of great heels and a silky shirt are all you need to go out on the town. Or… a plain white tee and cute flats will take you to the grocery store. 9. Take pictures of each piece in your wardrobe. You may have more things than you realized! This also will help you to visualize pieces that you still need to complete a great outfit. 10. Sign up for your favorite stores newsletters and Follow them on Twitter. Following your favorite stores or brands will give you the inside scoop on what’s new as well as what sales are coming. I can’t tell you how many times I’ve headed straight to my favorite store when I got an email alert of a new promotion. And… because I love my readers… Here’s a special printable coupon for you to use at the GAP or Banana Republic Outlet Stores. What are your tips for shopping on a budget? *I wrote this blog post while participating in the TwitterMoms and Gap Outlet blogging program to be eligible to win a $20 gift card. For more information on how you can participate, click here. There are several trends that celebrity parents are following when it comes to feeding their children. We as everyday parents can follow these healthy trends as well. I was happy to discover that the latest healthy feeding trends aren’t from expensive boutiques, but from my local grocery store. Celebrity parents, Hugh Jackman, Jennifer Garner, and Gweneth Paltrow, all feed their children organically. Some favorite brands include Crofter’s Organic Fruit Spread and Earth’s Best baby food. Crofter’s is not only organic, but it’s low enough in sugar that I can give it to Allison, my 4 yr old Type 1 Diabetic, and not stress over it (8g of carbs per serving). Earth’s Best has been widely known in mom blog circles as being the organic food with no added salt, starches or refined sugars. Elisabeth Hasselback, of The View, is one of the many celebrity parents embracing the gluten free feeding trend. Envirokidz Bars are an organic, crispy rice bar. It has a kids pleasing taste and is found in most grocery stores. Tinkada Pasta is made with rice and bran. It comes in 18 varieties. Recipes can be found in their website. Madonna is known for strictly following a sugar free diet while raising her daughter, Lourdes. One favorite is Hint Water. It’s a premium essence water with a hint of flavor. It’s unsweetened and has zero calories. Hint comes in 10 delicious flavors. Also, although not sugar free… Funky Monkey Fruit Snacks have no added sugar. It’s freeze dried fruit that’s not just better for you… it’s good for you. Funky Monkey is also gluten free. Celebrities like Melissa Joan Hart (pictured), Jessica Alba, and Tori Spelling all follow this trend. Born Free makes bottles and cups all BPA chemical free. They come in glass and plastic. Their unique design also cuts back on colic and ear infections. *I was not compensated to write this post. 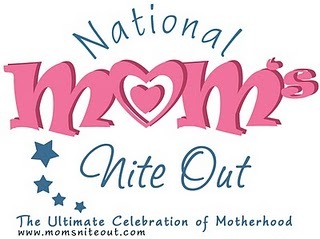 Phoenix Mom’s Nite Out Blog Hop! We had such an amazing time at The Capital Grille in Scottsdale last night! Thank you to Linda, the Sales and Marketing Manager and the helpful staff. It was above and beyond anything I could’ve ever expected! 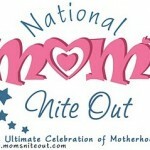 If you blog… Please link up and share your experience at the Phoenix Mom’s Nite Out. If you don’t blog… leave a nice comment for our sponsors! Thanks! Let me take this time to thank our sponsors and ask all of my readers, viewers, and attendees to give some shout out love to them too! Thank you Little Debbie @littledebbie for the delicious snack cakes! Thanks to Dove @Dove_Chocolate for the bags of yummy chocolate! Big shout out to Hasbro… Lovin’ the My Little Ponies! I would be leaving out a HUGE supporter if I didn’t mention Dr. Gary Brigham and Sierra Orthodontics in Scottsdale. Also much love to Nina… love your guts! If any of you are thinking about Invisalign… mention my blog at Sierra Ortho and get a nice deal courtesy of me! My family’s dinner was provided by Pizza Hut. Thanks for feeding them! Thanks so much to Erin @LotsToSayBaby for sending her product in for the swag bags! I’m giving away 2 huge gift baskets from Eden Fantasys! Thanks so much @edenfantasys! I’m also giving away 2 undershirts from Blush Accessories! Thanks to @blushundershirt! Don’t forget to thank @boogiemom for the boogie wipe samples and @cre8ivwriter for 20% off the book Mother Daze! And Thanks MomTv for the amazing Logitech Cam to give away! I’m sure I’ve forgotten someone… don’t hate! I will recap all of this after the event!